Longitudinal & transverse ground speed. Longitudinal & transverse water speed. Accuracy better than 0.1 knot. 200 pulses per mile derived from longitudinal water speed or longitudinal ground speed. Position, cog, sog, heading outputs. LOW COST compared to other deep-sea systems. For a water speed log you need only install one or two of the sensors. For ground speed install the satellite sensor and heading input. For a dual system fit both. The water speed transducers use the correlation principle, which is claimed to be less influenced by turbulence and fouling than electromagnetic logs. 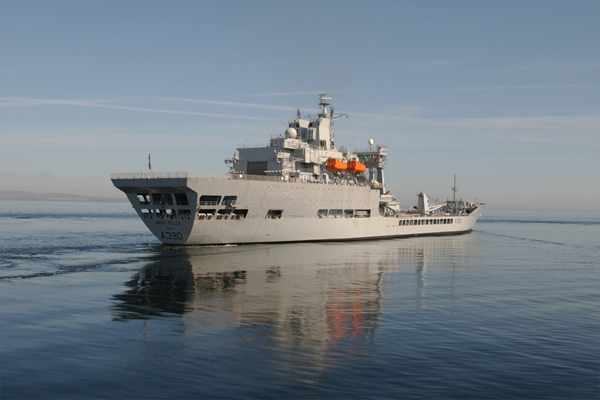 For refits AMI, or a shipyard, can produce a housing for the new transducer to match the old transducer, allowing an existing gate valve or tank to be reused. The transducer is supplied with a simple housing for new fittings. The ground speed measurement is based on the proven SMIDS “Doppler” docking system using a GPS active antenna. 1. All data and system health. 2. Water speed. Distance run, ahead. 3. Ground speed. Distance run, ahead. 4. Set-up screens. 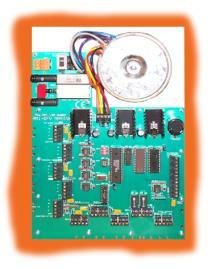 Controls operation and data output format. Additional displays may be connected using the internal power supply. The NMEA outputs may feed ECDIS, radar, VDR, a conning display or small display instruments available from other manufacturers. Miniature screened cable is used and long runs are no problem at all. INPUTS: Fore and aft water sensor. Port and starboard water sensor. OUTPUT 1: Three NMEA 0183 ports plus 24v DC for display units. VBW and VLW water and ground speed and distance. Sentence fields to be used are selectable. Header is selectable from VM, VD, II, and GP. GPS data output optional and selectable. 5 volt at 5mA via 47 ohms. 1 second rate. OUTPUT 2: Two relays 200 pulses per mile for speed ahead only. Ground or water speed selectable. OUTPUT 3: For remote 5 volt LED to indicate water, ground and speed status. POWER: 115/230 volts 50/60 Hz at less than 100 VA.
HOUSING: Duck Egg Green electrical enclosure with door 400 x 300 x 150mm. HOUSING: 260 x 160 x 90 mm with trunnion bracket. Optional panel mounting bracket available on request. Cable entry glands at rear. 12 core cable to main unit. The 922-L performs the processing of the raw data. DISPLAY: Vacuum fluorescent screen viewing area 166 x 41 mm. Adjustable brilliance controlled by keypad. Screens for water & ground speed, raw data and configuration. N.B. The display is only to be mounted inside. It is not watertight. CONTROLS: Tactile 6 button keypad. Controls functions on the set-up screens. 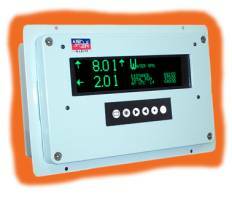 DIP switch selects master display or repeater display function. CONNECTION: 4-core cable from main unit provides data and power. FUNCTIONS: Functions as a repeater of the master data. Set by internal dip switch. 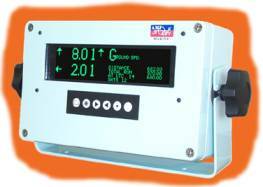 DATA OUTPUT: NMEA 0183 VBW and VLW. 1 second rate. Header VM, VD, II and GP selectable. VBW field to be filled is selectable.